A mysterious USB card loaded with strange sounds, a brown envelope sent with no return address, a simple text file: That's right, it's time for another marketing push in the guise of a alternative reality game. Yesterday we received a plain black USB drive tucked away in a envelope. On the drive was this sound file and a text message with the words: Cryptography, Isotope, Philanthropy, Hydrogen, Ember, Rebirth. The first letter of each word, Joystiq points out, spell the word cipher, they also pointed out that the sound file points to a website apparently set up for this elaborate marketing effort. 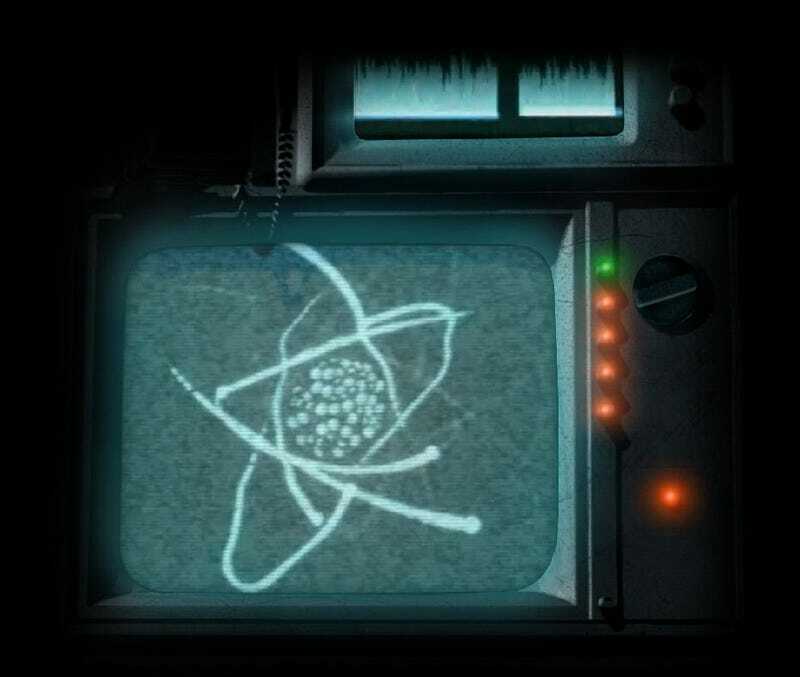 The site has a small television that can be tuned into a rolling video that shows a baseball field getting nuked, images of Kennedy and images of uranium. A few other interesting tidbits: There are plenty of clues hidden in that video including a string of letters and the power button for the television appears to be flashing something in Morse Code. Also, the envelopes with the flash drive, apparently sent to a number of gaming sites, all had two stamps featuring Richard Wright on them. Seems odd, but it could just be the roll of stamps whoever sent this up purchased. Viral tracking site Movie Viral has a nice summary of all of the wild theories floating around right now on various gaming sites about this. Most people seem to think it's for Fallout: New Vegas, a new Call of Duty title or Singularity. Contacted for comment today, Bethesda called the ARG "really cool" but said it doesn't "relate to our games." So then what? Singularity seems to be the most likely choice unless the next Call of Duty game is going nuclear.